Long acclaimed for his beautiful landscapes and garden paintings filled with light, Thomas Kinkade took great care to add the beauty of blossoms in bloom to his work. Among his favorite flowers were roses, and now the vibrant beauty of roses adorns this beautiful Thomas Kinkade figurine collection. 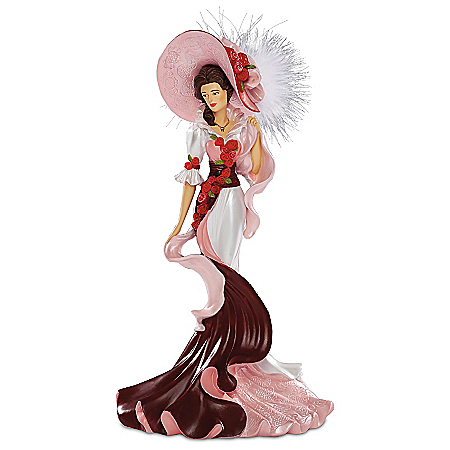 Introducing the Thomas Kinkade Roses In Bloom Figurine Collection, available only from The Hamilton Collection. Inspired by Thomas Kinkade's breathtaking rose artistry, your Victorian lady figurine collection begins with Issue One, Elegant Perfection. 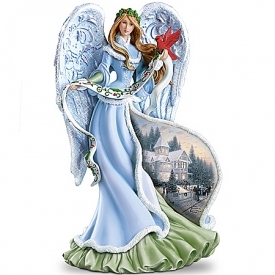 Soon your collection will continue with Issue Two and additional collectible Thomas Kinkade lady figurines, each a separate issue to follow.?? ?Inspiring emotions for thousands of years, roses have developed their own language, with each color bearing its own sentiment and meaning. Each elegant Victorian lady figurine in this collection is handcrafted in artist's resin and hand-painted in pearlescent hues. Each showcases sprays of hand-formed roses in different colors on their elegant flowing gowns, sharing messages of love, friendship and more. Their stunning ensembles are crowned by hats adorned with hand-etched and hand-formed roses, as well as genuine feathers. 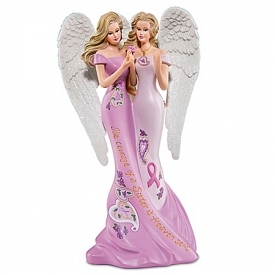 For the perfect finishing touch, each lady figurine also features Thomas Kinkade's signature golden lantern. What a lovely way to bring the symbolic beauty of roses into your home! But strong demand is expected for this limited-edition figurine collection, so don't delay. Order now!